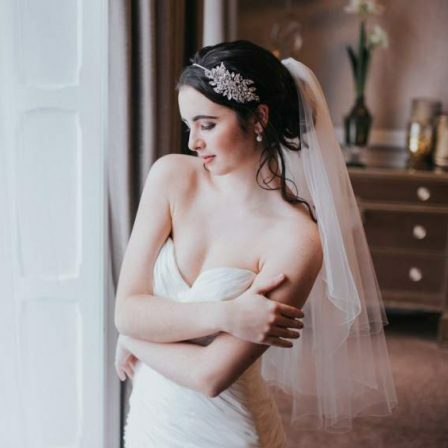 As well as choosing the perfect length for your veil, it’s worth putting some thought into the veil width as well. Dresses come in all kinds of shapes and sizes; Ball Gown, A-line, Mermaid, Sheath, etc. And there is a vast difference in the width of the skirt and train for each of those silhouettes. 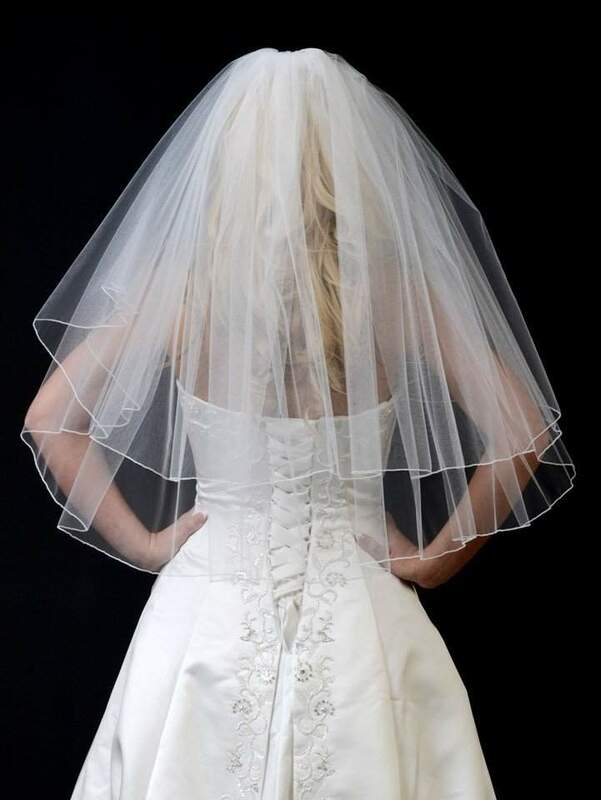 If you’re having a short veil – fingertip length or above – the width is not quite so important. And if in doubt, we’d recommend to go for the medium option: 72″ wide. 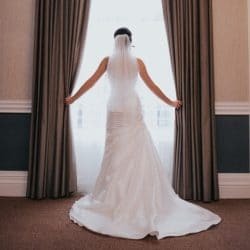 For long veils, however, where the veil is going to actually lay on top of the train, then you need to think about the width a little more carefully. 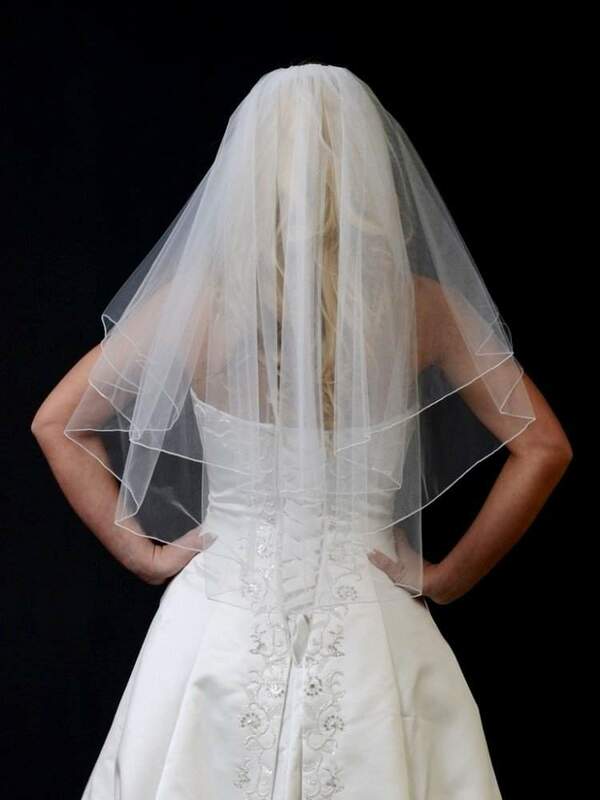 Essentially, the wider the dress, the wider the veil. You can also play around with this. 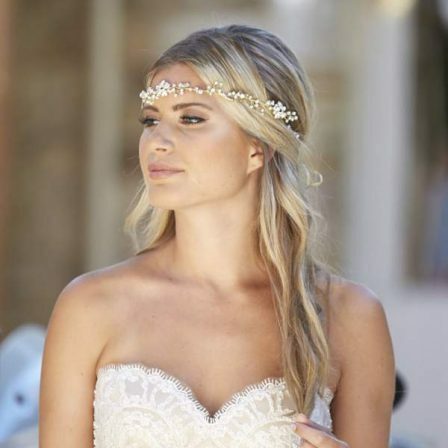 For example, you can create a beautiful effect by having a veil both longer and wider than your train to fully surround it in tulle. Perhaps not quite to Meghan Markle lengths, but that kind of idea. 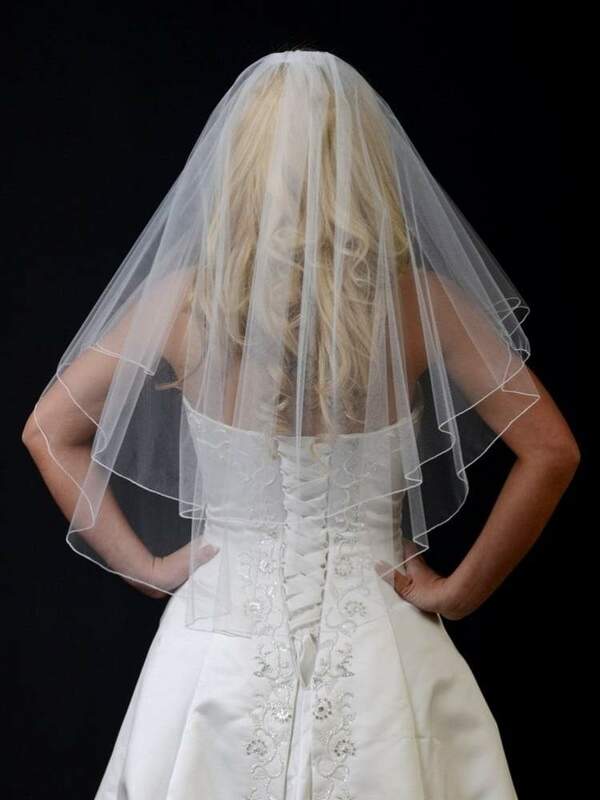 We would never recommend having a veil narrower than your train, as this can look a bit skimpy. 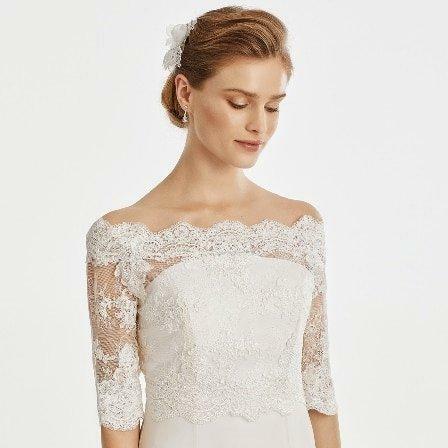 On the opposite end of the scale, if you have a slim sheath dress, you don’t want to swamp it with a huge veil. 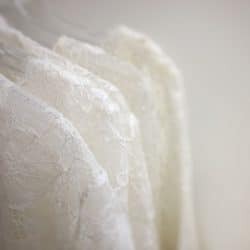 A slim veil, either in a short length, or just a touch longer than the train (often sheath dresses only have a small, puddle trains), would suffice. The following pictures are to illustrate the amount of fabric you get with each of our 3 width options: slim (54″), medium (72″) and full (108″). As you can see, the width also affects the veil’s transparency quite a bit.